NHL News : The Flyers wanted another star player over JVR! The Flyers wanted another star player over JVR! 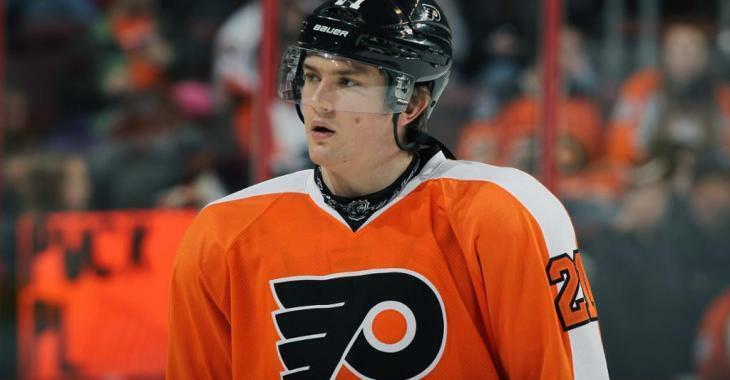 One of the first move of the free agency season took place right before midnight ahead of July 1st, when Philadelphia Flyers general manager Ron Hextall went out and brought back James van Riemsdyk from the Toronto Maple Leafs and signed him to a five-year, $35-million contract. The move has certainly been a good one: the addition of JVR surely gives the Flyers more depth on the power-play as their second unit last season contributed only one goal with the man advantage for the entire year. Definitely, this is a great addition. However, in his latest 31 Thoughts column on Sportsnet, NHL insider Elliotte Friedman revealed that the Flyers had another target in mind before settling for van Riemsdyk. Friedman has placed a one-line sentence to point out that Hextall was after a talented sniper, whom he would have had to get off the trade block. Yes, you’ve guessed right: the Flyers were after Columbus Blue Jackets star forward Artemi Panarin. He then of course hinted at the new mascot in Philly, Gritty, because, yes, it would have been a gritty move. Panarin has mentioned he is not interested in re-signing in Columbus and would prefer playing for a bigger market team. However, there is nothing that indicates that he would want to play for the Flyers. For now, the Russian sniper remains in Columbus and the team still hopes he will choose to stay there long term, or else, the Jackets will have to move before the trade deadline in order not to lose him for nothing on the free-agent market as Panarin will be eligible for unrestricted free agency on July 1st 2019. Though a contract extension for the forward remains somewhat possible, GM Jarmo Kekalainen wouldn’t commit to either opening the season at the Detroit Red Wings on Oct. 4. Will the Flyers still be interested in February closer to the deadline?